Webinar Video -What's New in SAP RAR FP07? Watch the webinar by experts from Bramasol and SAP recorded on Jan 24, 2019 to learn about the exciting new features in SAP Revenue Accounting and Reporting (RAR), release FP07. A major achievement in FP07 is seamless parity with existing features in SD RevRec, which opens a cost-effective path for companies to transition their Revenue Recognition processes into a more sustainable forward path. This webinar covers the latest features of SAP RAR available in FP06 and why they matter. Also some insights and learnings on why moving to a more updated feature pack makes sense, learn about FP04, FP05 and FP06 and how it will benefit you to move sooner versus later. A pioneer in electronic design and automation and with a presence in more than seven countries, our featured customer offers bundles of hardware, software, support & training to industrial customers. The Company was running ECC 6.0 with SD Revenue Recognition and was in the process of implementing SAP RAR 1.3 to support a mandated transition to IFRS 15. The project delivers a "hard" transition from ASC605 to IFRS 15, running RAR 1.3 SP02 for ten company codes around the world. The deployment includes a migration of 26000 in-flight contracts. This Global Fortune 500 company is a leader in the manufacture, installation and service of computer, networking and computing systems providing solutions for companies of all sizes around the world. Their highly complex landscape and current global migration project required both a focus on achieving near term compliance while positioning a smooth migration to SAP S/4 HANA. They needed someone with deep, proven expertise and experience in implementing SAP RAR. Bramasol recently helped a $9B Tier One Automotive supplier with a customized Revenue Recognition solution to help them become IFRS 15 compliant and optimize their business processes to support them in their quest for continuous performance improvement. The customer has manufacturing facilities located around the world and is a global product leader in clean and efficient technology solutions for combustion, hybrid and electric vehicles. 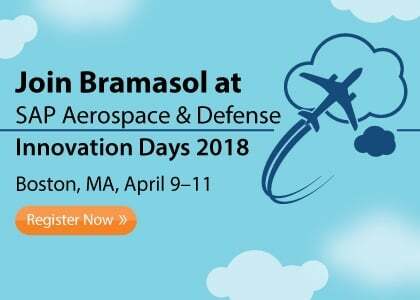 Please join SAP and Bramasol for the Fifth SAP Revenue Accounting and Reporting (RAR) Global User Group Meeting on Thursday April 7 from 2 – 3 PM EST. 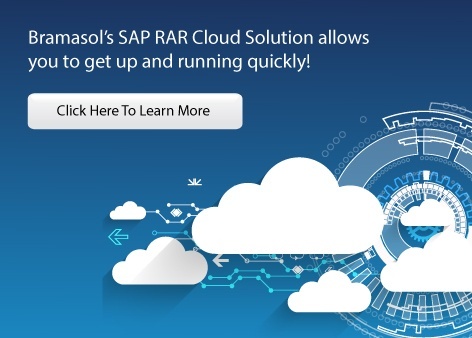 Bramasol, the leader in SAP Revenue Recognition, is now offering SAP RAR in the Cloud Solutions to help you get Rev Rec projects up and running quickly. The extent of impacts will vary by industry and by organization within the industry, but all companies will be impacted. Some of the changes this will cause include additional or expanded disclosures, the inclusion of additional estimates and judgments in external Financial Reporting, and most likely new or modified business processes and controls. It is important to note the last impact item from above: new or modified business processes and controls. The new standard is not just an accounting exercise, but rather extends well past technical accounting into core business processes. To get lots of detail on how to leverage these opportunities,, click here to read Larry McKinney's blog post "Revenue Recognition Projects: Driving Transformational Actions" on LinkedIn Pulse. 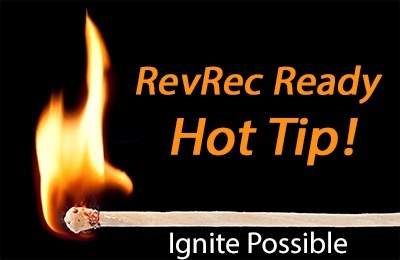 Read all of the RevRec Ready Hot Tips here. Don't miss the upcoming webinar on February 25! Revenue Recognition changes are coming quickly and many companies have already begun to evaluate what compliance with the new standards means to them. Some companies still have to evaluate the impact…to those companies I say the time is now. The new Revenue Recognition guidelines take effect January 1, 2018 and the date is rapidly approaching.